The act of breaking bread and sharing a meal is a timeless experience that transcends borders and cultures. Any homeowner will take part in this universal experience whenever they step into a newly remodeled kitchen. With sinks, faucets, countertops, cabinets, and hardware from ProSource® of Coppell, it’s sure to create an air of comfort in the kitchen. One project that can have a major impact on the appearance of any kitchen is replacing the cabinets. Luckily, ProSource carries a variety of cabinet door species, colors, sizes and styles to embrace any design preference. Plus, you can take advantage of our wholesale pricing to ensure the budget is equally pleasing. The details of any space are the best way to leave a lasting impression. 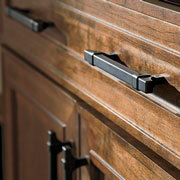 Make even the smallest of additions stand out by adding stylish and unique new cabinet hardware. 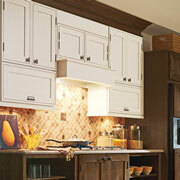 Knobs, handles, and pulls can tie together the visual appeal of a new set of kitchen cabinets. The countertops in any kitchen are some of the hardest working surfaces in the home. From meal prep to play-time, the countertops are being used nearly all day. 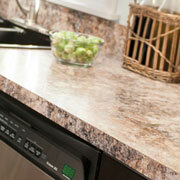 When looking for durable, stylish, yet easy-to-clean options, look to ProSource. 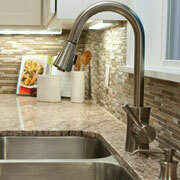 Like countertops, kitchen sinks see a lot of use in any home. That’s why it’s important to consider what the sink is made of, and how it’s designed. Luckily, ProSource offers single, double-, and even triple-basin sinks in a wide palette of colors and materials. 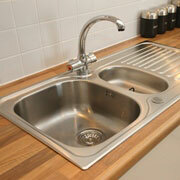 The design of the plumbing in the kitchen can influence the choice of kitchen sink faucet. Fortunately, ProSource offers so many brands, designs, and styles that you will easily find a faucet that fits the desired look and function.